Located in downtown Toronto in the heart of Canada’s financial district, the Pemberton Group’s U Condo project consisted of two condominium buildings, 45 and 55 stories, encompassed by 28 townhomes. 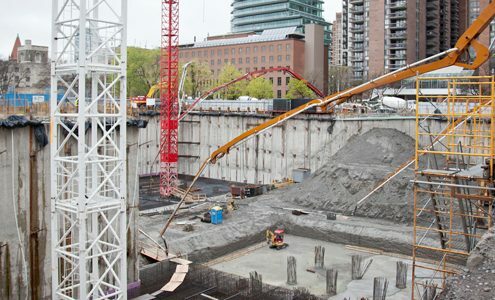 Though there are hundreds of similar condominium projects across the city, this one presented some unique challenges that the Dufferin Concrete (DC) team was eager to tackle. “For starters, with a location in the heart of the city surrounded by residential and commercial buildings, a major university and various other schools, churches and a surplus of one-way streets, the site was a logistical dilemma. 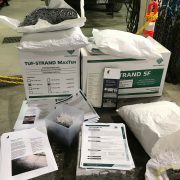 We had to work closely with the developer and the city to ensure we could get the job done safely and efficiently,” said Karl Rammler, District Manager, Dufferin Concrete. 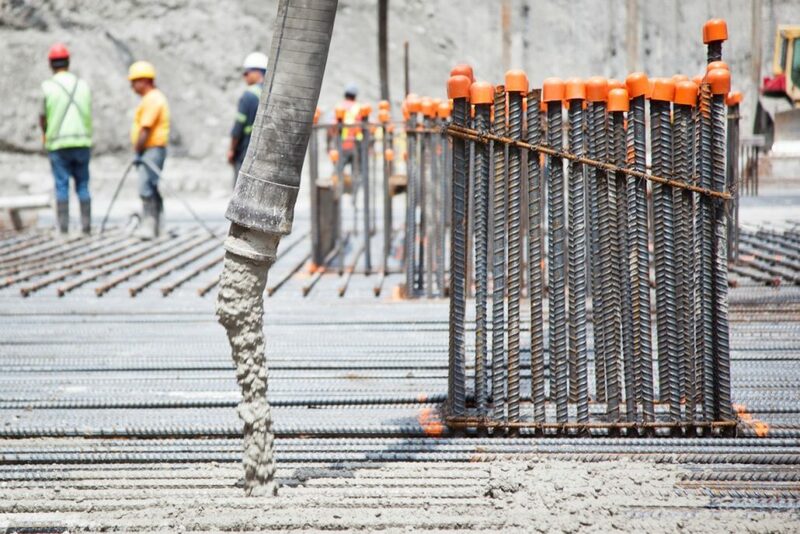 Beyond the complexities of the development’s location, the project required a very strict pour schedule and concrete mix. 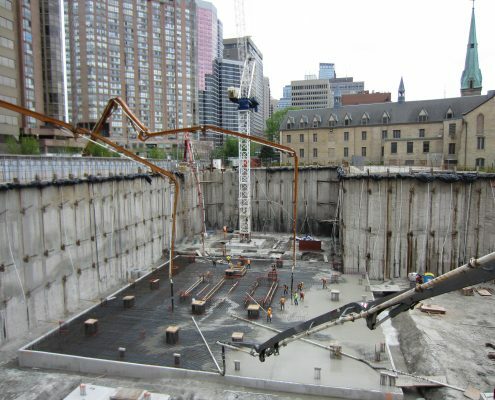 The strict time frame due to traffic closures and the technical requirements of the slab meant the 2200 cubic meters of concrete for the foundation of the first building had to be poured in one day. 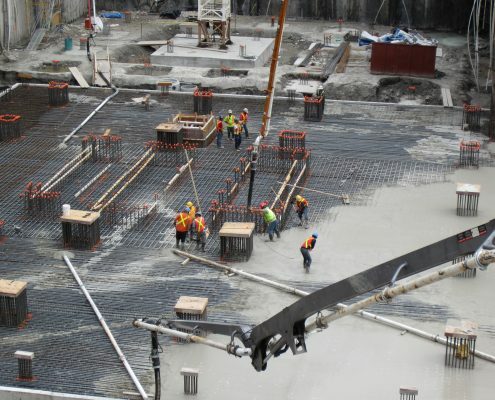 The design included a mass “raft” or foundation slab, requiring a very strict pouring timeline to control the temperature of the concrete core. 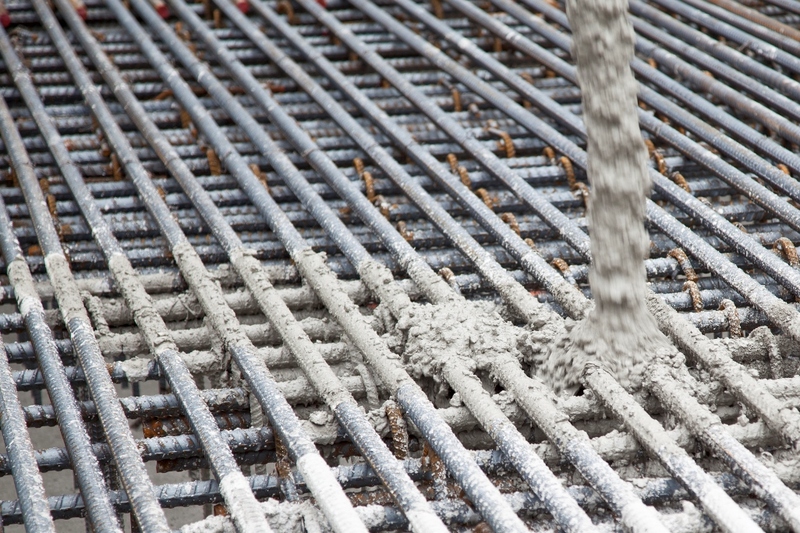 “Dufferin Concrete was chosen because of the level of expertise they bring to the table. 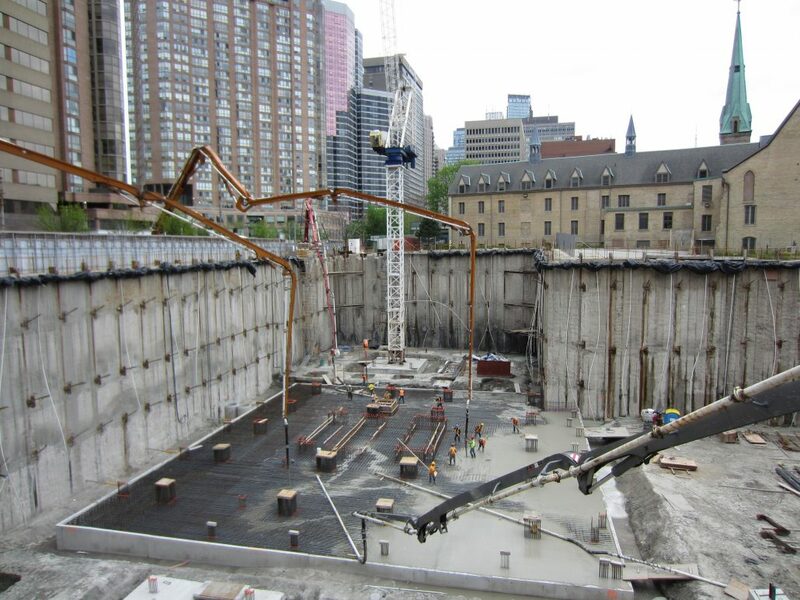 This was a challenging project logistically on a busy street in downtown Toronto with a tight time constraint and very specific concrete mix. 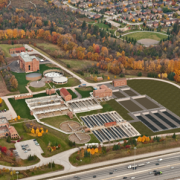 We knew we could count on Dufferin to get the job done right, doing it in a professional manner and ensuring minimal disruption to the local community,” said Eliot Muzzo, President, The Pemberton Group. 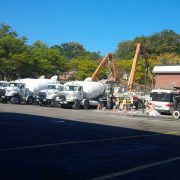 On a chilly spring Saturday in Toronto, Dufferin Concrete crews across the city were in action before dawn for the pour. 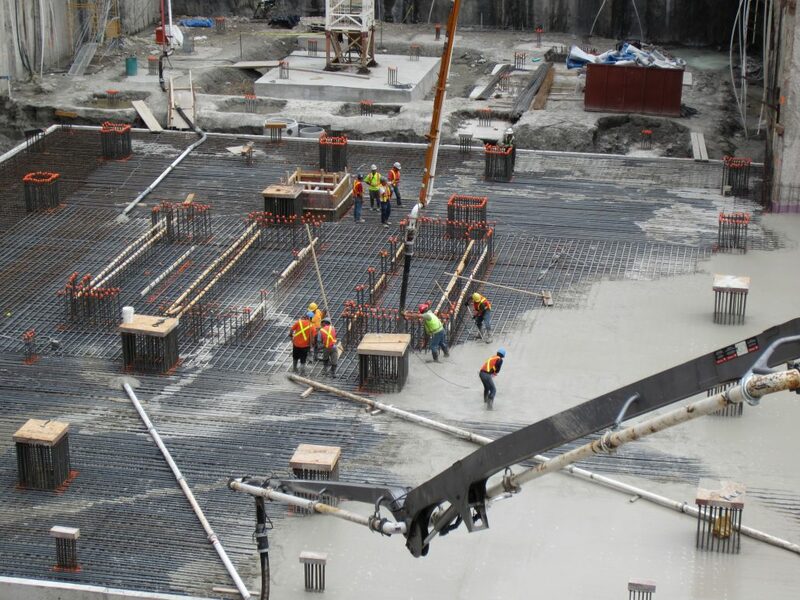 With road closure permits in place, police on site to direct traffic and keep the public safe, and over 120 DC employees scheduled to work, the team was ready to deliver a flawless pour. 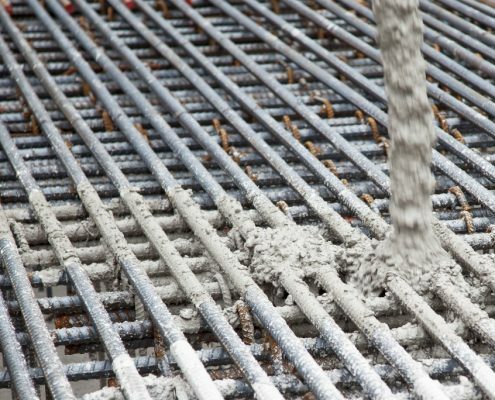 Concrete was provided from three separate mixing plants in the city to ensure a continuous supply with a fourth plant on standby in case any unforeseen circumstances halted production at any of the primary plants. “The energy on site was really great. 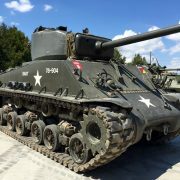 The drivers were excited to be a part of such a memorable project, and the team came together to ensure that safety was top of mind for everyone and the job was being done right. 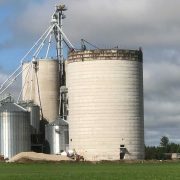 I’m incredibly proud of everyone for their hard work,” said Peter Moylan, General Manager, Dufferin Concrete. 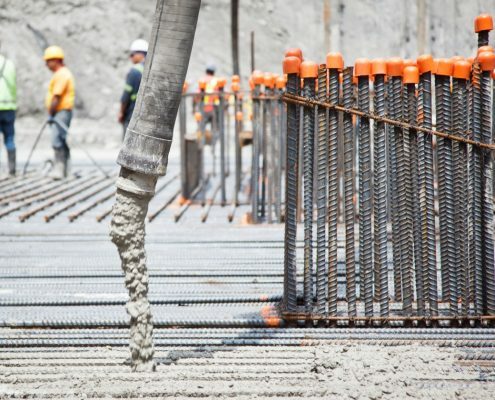 A few months later, it happened all over again when the foundation for the second building was poured, this time requiring 2700 cubic meters of concrete, once again in a memorable one-day pour.